In today’s age of digital marketing, you need to be able not only to create excellent content, but to measure the impact of that content too. Now’s the time to start dealing real numbers and tangible results. The market has reacted to this need, and there are now many digital tools that marketers can use in order to measure their growth. 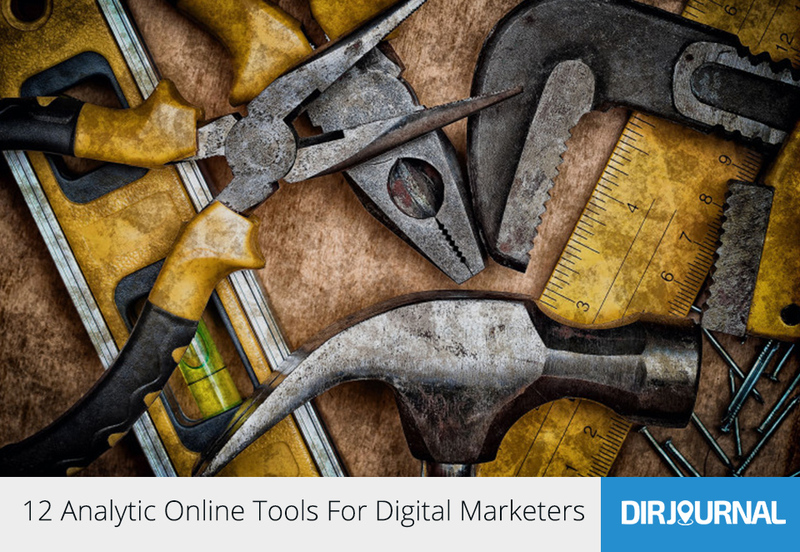 These tools will help you measure your success online. Easy Word Count: This tool is designed with writers in mind. The length of your content goes a long way towards your success, and it’s been found that longer content is often better. This is because they have more writers to really go in-depth on their topic. If you’re looking to improve your content, use this tool to keep an eye on how long your text is. Mixpanel: This is an all in one data dashboard you can use to track your customers online. It’s the choice of many businesses it tracks their actions once they’re on your site, rather than just page views. Using that data, you can then make changes to your site in order to optimise it. Moz Pro: This tool is a great all in one SEO tool, so you can track exactly how SEO is being used on your site, and help you find what is and isn’t working. It keeps tools such as ranking, keywords search, and reporting all in one place for you. State Of Writing: Good copy is what will bring readers to your site, and it’s what will keep them coming back. You’ve got to ensure that your writing is perfect before it’s going online. The best way to do that is by using this website. It contains a wealth of writing guides, on everything from good copy to good grammar, and so you’ll be able to improve your copy in no time. Content Scoring: If you want a more granular look at your data, this is the site for you. It features tools that show you the impact of a single Tweet or post, so you can really see what’s working and what isn’t. It’ll also help you track customer journeys so you can see what they did online before buying your product. Kissmetrics: This tool helps you keep a close eye on what your customers are looking for in a product. You can use it to track what they do on your website, and help you identify key demographics. Paper Fellows: The team at this site know all about what makes your site and its content desirable to your audience. You can use them as a consulting service, so they can show you what content will work with them and what won’t. Marketing Evolution: With some data tools they’ll pull so much data that you won’t know what to do with it. This tool helps you make sense of it all, and help you start making improvements. You’ll be able to see what messages are working best, and what needs changing. Lattice: This tool is a powerful one, as it will help you predict your customer’s behaviour based on the data you have. It’s a good way to see where you can make changes to fit the needs of your customers. Big Assignments: This writing service offers content analysis tools, if you’re looking for a place where you can really examine what your content is doing for you. You can also chat with the writers on staff, as they can help you fix any issues you have. SEMRush: This tool helps you see what your competitors are doing, and helps you learn from this data. It’ll even give you information, such as what keywords are using. You can then use this info to turn the tides in your favour. Oribi: This data tool was designed for marketers, making it perfect for you. It automatically collects all the data your site puts out, and sends trend alerts when there are any changes in behaviour. These 12 tools will all keep track of what’s happening on your site, and help optimise it for peak performance. It’s easier than ever to get the data you need. Sharon Conwell has been a content marketer at over 20 online projects, now she is a part-time educator and freelance writer. She’s specializing at content creation and optimization. She loves coffee, tulips and her Shih Tzu named Bobby. Feel free to contact her on LinkedIn or Twitter.